Yeah, that's a big call, but I'm making it. 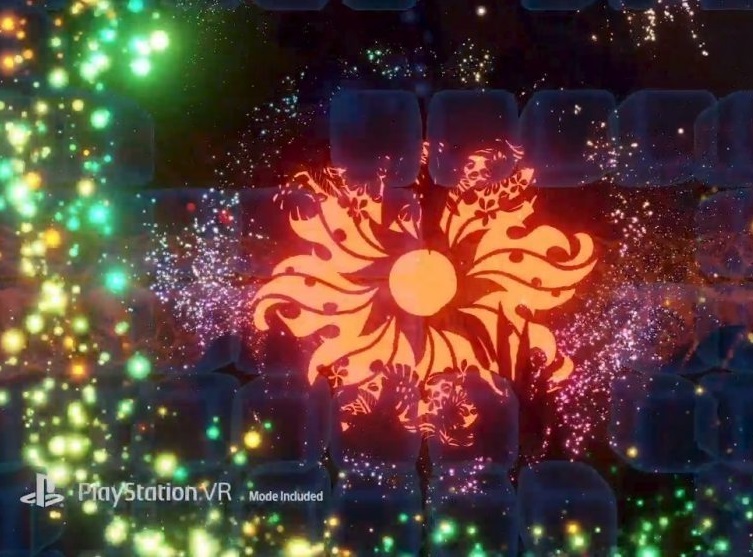 Tetris Effect is being brought to us by Sony, and is being developed by the same people behind Rez Infinity and Lumines. In other words, you can expect Tetris Effect to be a ridiculously good game with the most impeccable sense of style and panache, and we will finally have the modernisation of that original blocky game that we've been waiting for for so long now. From the press release: "The idea behind Tetris Effect the game is to amplify and enhance that same magical feeling where you just can’t get it out of your head, and not just the falling shapes, but all the visuals, the sounds, the music – everything! How? By having each of more than 30 stages immerse you in a different fantastical world that reacts and evolves based on how you play: background elements, audio, special effects – everything, down to the Tetris pieces themselves, pulse, dance, shimmer, make music, explode, etc. in perfect sync with how you’re playing." Have a read of that again, then watch the trailer. There's only one word that could possibly describe it: cool. This game is slick. It's stylish, and it already looks like a genuine standout in terms of creativity and ingenuity for 2018. It's even going to have PlayStation VR support for maximum immersion. This is the kind of thing I wish Sony spent more time and energy finding, publishing, and promoting. I get that it's the blockbusters like God of War and The Last Of Us that sell consoles and get the plaudits from the mainstream media who don't have the time to look at the niche stuff but it's games like Tetris Effect that show that Sony still has a respect for the creative too, and that's comforting. Anyhow, I'm sure we'll see more of this game at E3, and hopefully some more like it. Naturally, this will be a PlayStation exclusive.